We know that quality of life for our clients rests in the hands of our staff, and we carefully select and train our team of professionals so that you can be confident in their care. Arthur's hiring and training processes are unique to Arthur's and our sister company, ACR Homes, and are the reason we enjoy such a positive reputation. Arthur's and ACR's founder and owner Jim Nelson, a licensed psychologist, oversees our hiring process. He has developed an extensive screening and testing process that enables Arthur's to hire employees who are well-suited to the job. He is looking for people who not only have the aptitude to carry out all the complex details of the job, but who also have the heart for the job. Only about ten percent of all applicants are actually hired, then they are trained very well in over 70 hours of initial training. Quality of care all boils down to one simple criteria: Are there enough of the right kind of staff on duty? We feel it's important that your loved one receives personalized care. We have a minimum of two staff working with six clients during waking hours, allowing us to support each resident's physical, social, emotional and spiritual needs. In addition, our staffing ratios allow us to accommodate the needs of residents who require 2-person transfers or who have other specialized needs. 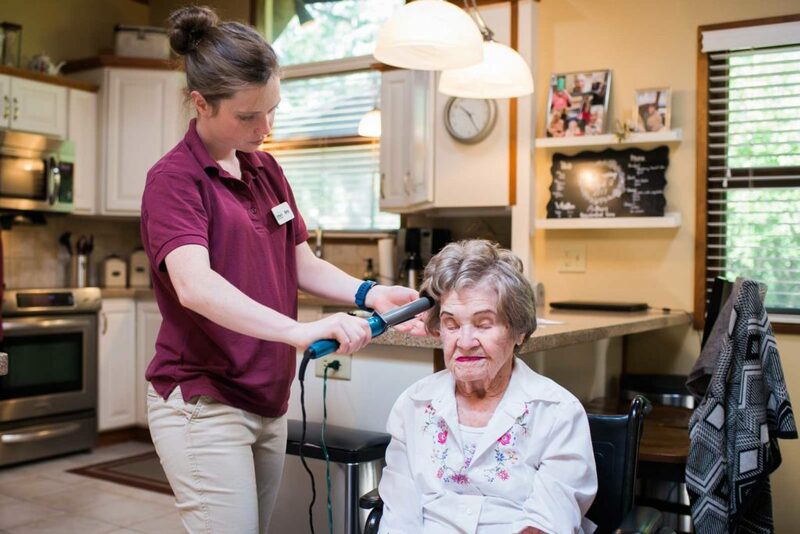 The caregivers at Arthur's seek to respect and support the dignity and intrinsic value of each client, as well as their health, safety and sense of well-being. We get to know each client's personal history and interests well so that we can help them make the most of their abilities and provide optimal support. We know that care needs don't end during the night. We provide the peace of mind knowing that clients have a staff person awake and available during the night. 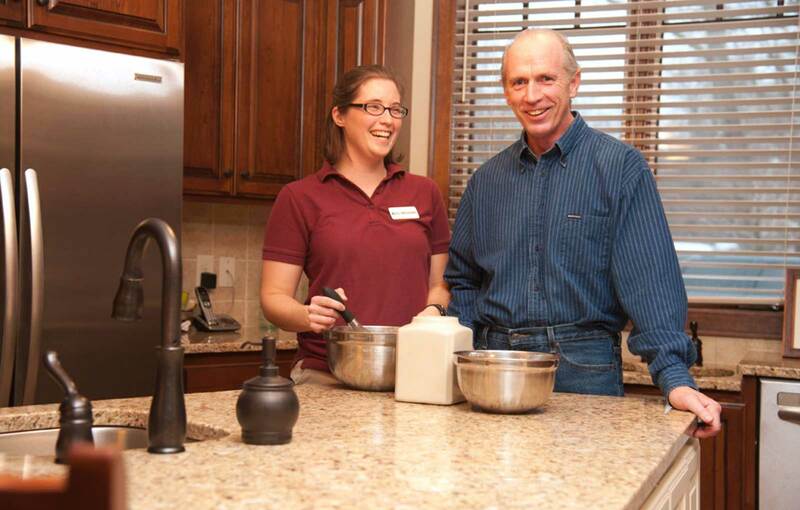 The awake night staff is available to assist with care needs or to just keep your loved one company. Our highly trained staff are able to access our 24-hour on-call nursing services and other emergency medical care. Families have told us many times over the years that when they bring up an issue, they appreciate that we are responsive and will implement changes to improve the situation. To ensure a timely and effective method of communicating with residents and family members, Arthur's has a live-in supervisor who lives in the lower level of the home with his or her family and is available by cell phone 24 hours a day. Because of this model, the individuals we support and their families always have someone to turn to with concerns. By having the supervisor and his or her family live on-site, we reduce turnover of staff, ensure continuity of care, and ensure prompt and thorough training of staff.